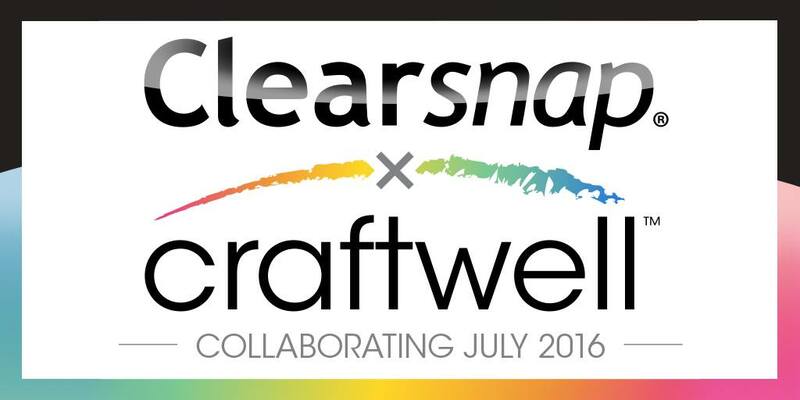 Hello and welcome to the Craftwell Blog. 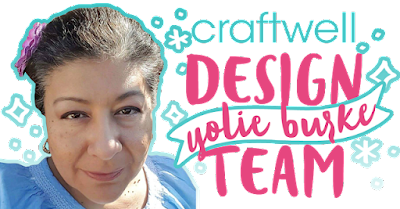 This is Yolie with today's project share. I love layered cards, the more layers the better. 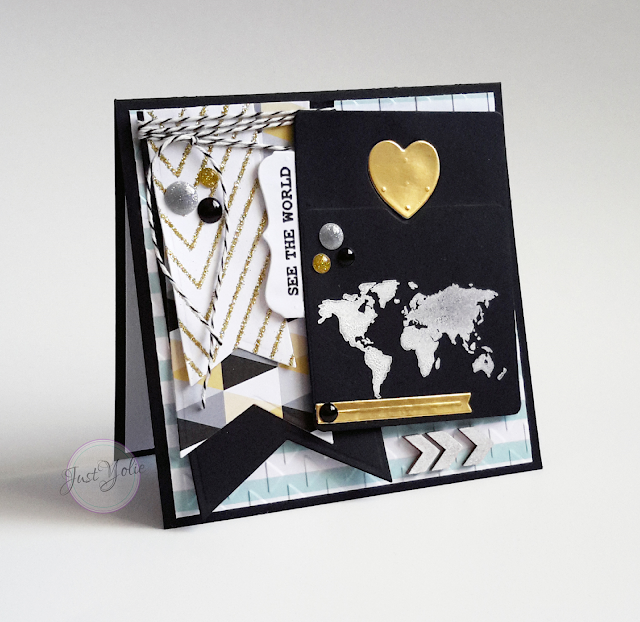 The pattern paper used on this 5" x 5" card is by Teresa Collins, Studio Gold and Wanderlust. I used the Cut N' Boss to die cut all the layers with Craftwell dies among others. 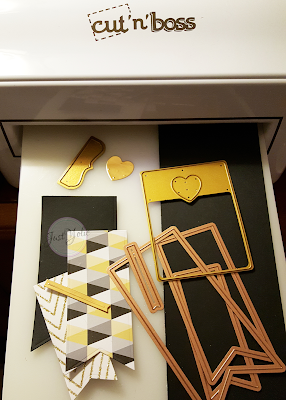 I took the blue stripped paper from the Studio Gold collection and cut it at 4.75" x 4.75" and embossed it with the Love Triangles embossing folder. 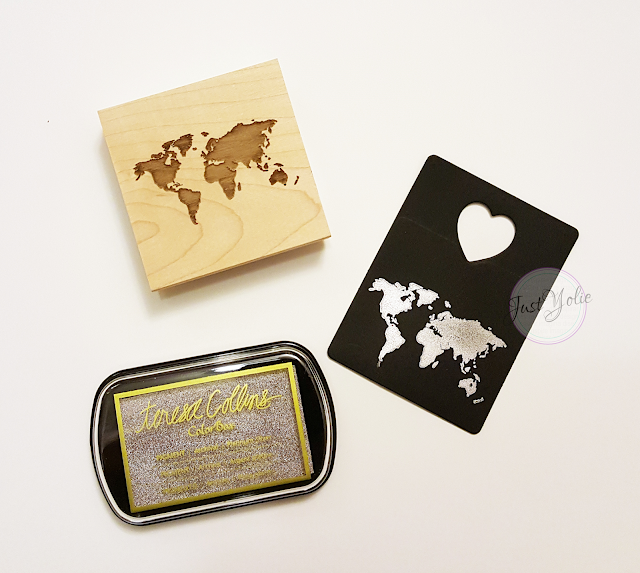 I then stamped the world stamp on the 2" x 3" heart die cut. 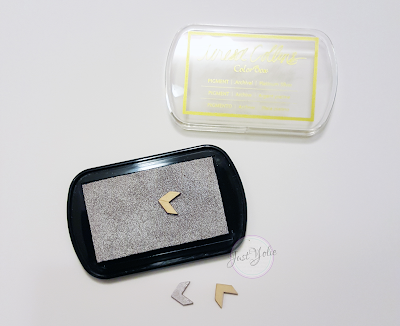 I used Teresa Collins' Platinum Silver pigment ink by Clearsnap. Please note, allow the pigment ink to dry, you can put a heat gun to it to help it along. I didn't wait for it to fully dry and smudged the bottom of South America. I wasn't feeling the chevron wood chips in their natural state, so gently padded them down in the ink pad. I layered the banners, wrapped black twine and adhered the bundle to the card. 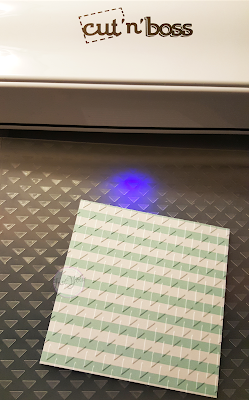 I printed the sentiment on my printer and die cut it with the tab die. I used pop dots to adhere the 2" x 3" die cut. I covered the ink smudge with the gold foil banner, but I wasn't feeling the "open heart" so I cut a gold foil heart, used a pop dot and inlaid the heart. See the world!! This card is for a very special person in my life. I hope you enjoyed it as much as I enjoyed making it. Thank you for visiting today.